While new regulatory frameworks have created serious challenges for compliance professionals in the last ten years, the recent uptick in enforcement actions changes the point of response for many compliance officers. In particular, regulatory supervisors are looking increasingly at appropriate staffing levels and levels of staff expertise. For institutions seeking to grow organically, this could lead to significant increases in staffing and training costs. More than ever, institutions need ways to identify and build efficiency into their AML processes – linking systems and investigative professionals in ways that directly improve efficiency – without sacrificing investigative accuracy. 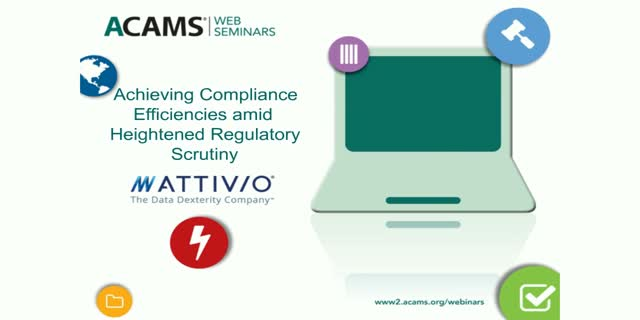 This webinar will 1) characterize the increased enforcement risk facing financial service providers, 2) categorize the likely consequences for compliance professionals and the processes they follow, and 3) provide a clear framework for identifying opportunities to improve operational efficiency and accuracy.